When the sun is strong, spend time in the shade, cover up with clothing and use sunscreen with at least SPF 15 and 4 stars. Overexposure to ultraviolet (UV) light from the sun or sunbeds is the main cause of skin cancer. Too much UV light from the sun and sunbeds can damage DNA and lead to skin cancer. Am I at risk of sunburn? Find out how knowing the UV index and how your skin reacts in the sun can help you avoid sunburn. When the sun is strong spend time in the shade, cover up with clothing, and use sunscreen with at least SPF15 and 4 or more stars. Sunbeds expose you to harmful UV rays and raise the risk of cancer. We all need some sun for healthy bones, but most people should be able to make enough vitamin D without getting sunburnt. 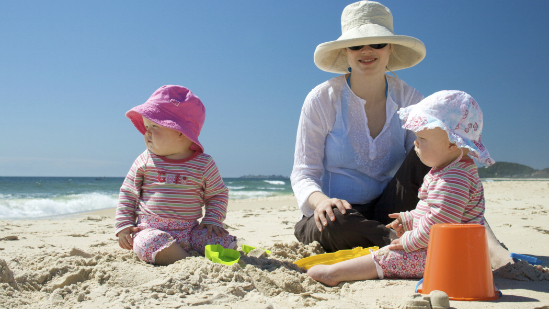 Find the key facts about sun, UV and cancer risk, based on scientific research. If you really want a tanned appearance, it’s safer to use fake tan lotion. Melanotan injections are illegal and may be unsafe.